I have been working on a Pad Thai recipe for a while now and I finally cracked the code. The main ingredient in Pad Thai sauce is not vegan and I realized that the best alternative is chickpea miso just like I use in my Sicilian Pasta recipe. I can’t believe I didn’t think of it sooner. To make this soy free, omit the tofu and replace the tamari with coconut aminos. Switch up the ingredients to include baby broccoli (broccolini) instead of bok choy. Prepare the noodles. While they are boiling, place the chickpea miso in a bowl. Add 1/4 cup of the hot pasta water and whisk together. Add the rest of the sauce ingredients and set aside. Slice scallions and chop up most of the peanuts and set aside. Drain the noodles and set aside. Cut the tofu into cubes and thinly slice the onions and carrots into small matchsticks. Chop the bok choy or broccolini. Sauté the tofu in the oil until it starts to get some color. Add the onions, carrots and bean sprouts. Cook for a few minutes until translucent. Add bok choy or broccolini and wilt. Add the noodles to the vegetables and add sauce. Mix well. 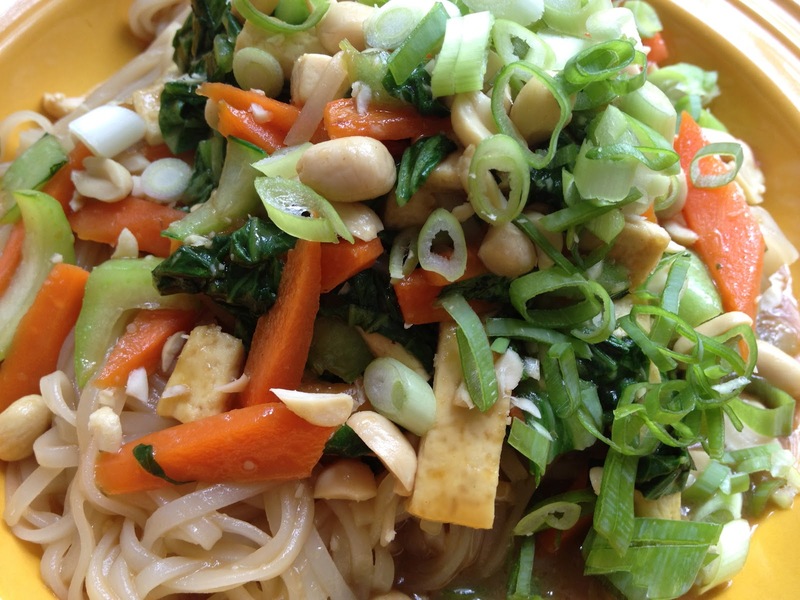 Top with peanuts, more bean sprouts and scallions. Enjoy!